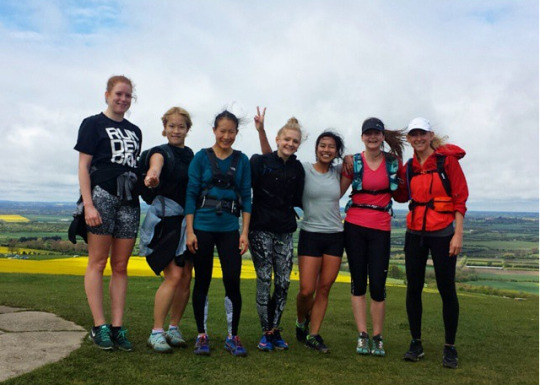 Take a bunch of ultra babes, a train ride to Tring, some freak British weather, and a picnic stop or two later, and we have WMN RUN 100 on tour. It’s easy to feel bogged down with the back to back long runs and higher mileage that ultra training plans generally throw at you, so if you can get out of town and on an adventure, then go for it. When our training programmes were handed out in the Spring, naturally apprehension preempted the intense mileage we had penciled in our calendar. Despite these doubts and fears, fast forward many months and steps on the road later, and our ladies have ticked off marathon distance, 45 + mile training sandwiches, and 31 milers on the weekend. Going way beyond the limits of their own preliminary expectations. Combined with this, longer runs have allowed the ladies that are based in the South to explore parts of the London and its surrounding areas that they may not have ventured to otherwise. We’ve taken our legs on leafy laps of Richmond Park, tried out parts of the Ridgeway we’ll be facing during Race to the Stones, and in many ways, re-discovered parts of the city we’re so used to. Even after being placed after a 12 mile run the day before, this bunch ran 17 miles or so lined with fields, bluebells, lambs, a coating of the good mud, and were just an hour outside of the city. Runs like this present you with distraction as you discover somewhere new, and that’s a very worthwhile thing, especially when you have a long way to travel, in your mind and body. Training might contain many miles but it doesn’t have to mean monotony. 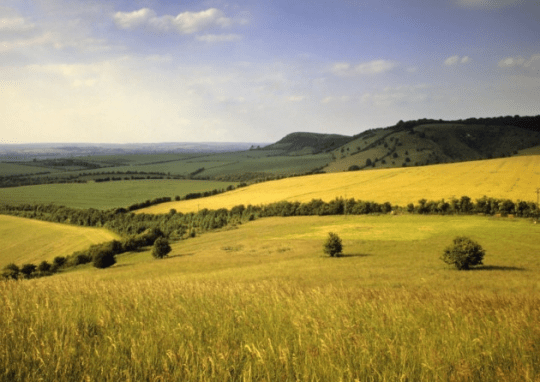 The Ridgeway spans for 87 miles of woodlands, greenery and farmland, and is one of the oldest paths in Britain, being used since prehistoric times. How to get there : There are many ways to get to the Ridgeway. One of them being to take a train from London Euston to Tring. Time : Just over an hour. Price : £15.50 return, or £10.20 each with groups of 4 or more. Bonus : There are a number of pubs for when you’re done getting lost in the countryside. 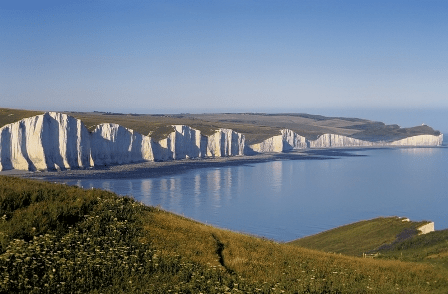 The South Downs are seen to be one of the most important chalk landscapes in England. as these rolling hills span roughly 260 square miles. How to get there: Take a train to Brighton from 1 of 3 stations. Kings Cross St Pancras, London Victoria, London Bridge. It’s roughly a 3 mile ramble from the station to the South Downs. Time : An hour / an hour and a half. Price : £17.20 day return, or £10 each with a group of 4 or more (book in advance). Bonus : Ice cream on Brighton beach after. The Viking Coastal Trail is often taken by cyclists, but can be travelled on foot too. 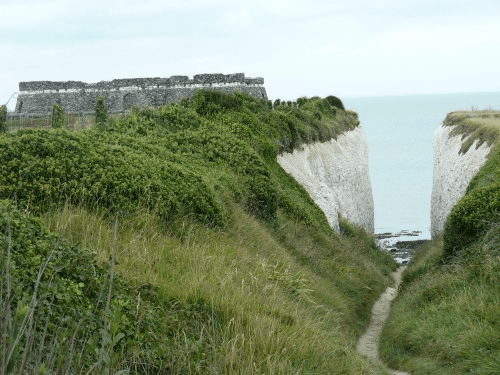 This ancient trail is a 32 mile loop will take you through an assortment of Kentish seaside towns and along the coast. How to get there : Take a train to Broadstairs from London Victoria. Other stations along the route include Margate, Birchington and Westgate-on-Sea. Time : Just under 2 hours. A little lengthier, but worth the trip out to the beach, especially if you treat it more as a day out. Price : £24.40 day return, or £16.40 each with a group of 4 or more (book in advance). Bonus : Proper British seaside, inclusive of fish and chips.